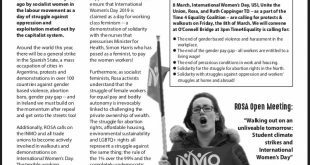 In 2014 , Irish Parliamentarian Ruth Coppinger and the grassroots organisation ROSA approached Women on Web and Women on Waves to collaborate and since we have worked closely together. We collaborated in several high impact campaigns (abortion train in 2014, abortion bus 2015 and 2017 and theabortion drone 2016). Although Irish customs had started confiscating all types of medication coming in through mail already in 2008, Irish women were able to access the abortion pills through Northern Ireland and support networks. Unfortunately, a few times a year also the post in Northern Ireland has periods it refuses to deliver the packages. This has been happening since Women on Web started in 2005 and a new package is always reshipped – so that all women are able to receive the medical abortion. The actions with ROSA created more awareness about the possibility of the use of abortion pills in Ireland and the number of women being able to have a safe abortion with the pills increased, more than 200 per year since we started our collaboration. The data of the scientific research was presented in the Citizens Assembly that was established in October of 2016 to advise the government on reforms of the restrictive abortion law in Ireland. Dr Abigail Aiken, the main researcher, was invited to testify before the Joint Oireachtas Committee on the Eighth Amendment. She presented the research about the safety, effectiveness, and acceptability of medication abortion through Women on Web in Ireland, as well as new research on Irish women’s decision-making when they need to obtain abortion services, and their experiences both with traveling abroad and availing of online telemedicine services at home. 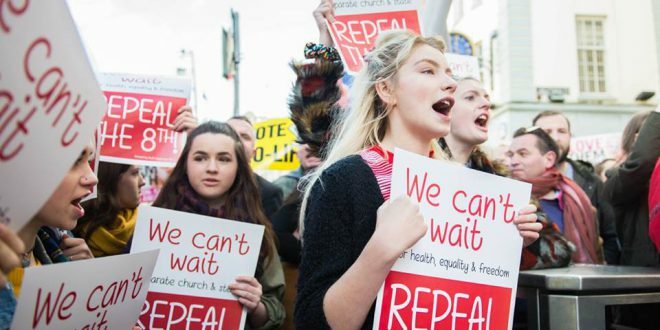 In September 2017, the media reported that most Fine Geal ministers still believed only a very restrictive abortion law would pass and none of the 4 big parties supported legalizing abortion till 12 weeks. However, the testimony about the use of abortion pills in Ireland swayed the opinion of all the parliamentarians, even the conservatives. And on December 14 th, 2017 the Oireachtas committee called for abortion to be legal for all women up to 12 weeks. Many Ministers have now come out in support of the proposed law change. The referendum is expected to take place in May 2018.